Here is an image of the wind-up of the great Sandy Koufax, who pitched for the LA Dodgers in the 1960’s. This image is a reproduction of a photograph I created using four negatives from four separate photos. They were taken by me during a game at Dodger Stadium in Los Angeles during the 1966 season. Nice! What a unique look at Koufax from the perspective of someone who was actually there to witness it and snap the shots. My dad grew up in San Francisco rooting for the Dodgers (he was born in ’47 to a Brooklyn transplant and got his roots before the Giants could infiltrate the Bay in ’58.) He talks about how when the sun went down he could pick up Vin Scully on KFI from about the 3rd or 4th inning and he listened to Vinny make the call on quite a few of those Koufax games. Thanks for sharing. Thanks for your comments. I was born in Los Angeles, and although we did live away from LA during some of my growing-up years, we were in LA when the Dodgers moved there and my Dad did take me to some of their early games at the Coliseum. I remember the ’59 World Series when they beat the White Sox. Later, in my college years in the mid 60’s-early 70’s, besides attending quite a few Dodger games at Dodger Stadium, I used to cruise down Sunset Boulevard listening to Vin Scully call the games on KFI. I also heard Vinny call Koufax perfect game against the Cubs. There is a YouTube posting of his call of the final three outs. By the way, how did you find my blog? I am relatively new to blogging and am wondering how people find these things! BTW, I lived in San Francisco from late 1974 through mid-1978 and went to a few Giants games at Candlestick Park. Also, I went to high school with Barry Bonds’ father, Bobby. He was a couple of grades ahead of me. Actually found you simply by typing in the keyword “Dodgers” in a WordPress search, and it gave me a whole list of entries associated with any blogs that people were posting about the Dodgers. Since I just started doing a Dodgers blog this season, I decided it would be a good idea to see who else is blogging about what for my own enjoyment as well as for inspiration in my own writing. With Koufax throwing out the first pitch on Opening Day this year, he’s been a big topic around town since ol’ Sandy almost never makes public appearances these days, especially not in Los Angeles. I was a real fan of the Dodgers during the Walter Alston years. I listened to the games all the time on KFI. My allegiances have changed, much to the chagrin of my Southern California family as I actually rooted for the Giants, and also the Nationals and Orioles. I remember the World Series in 1966 when the O’s sweeped. 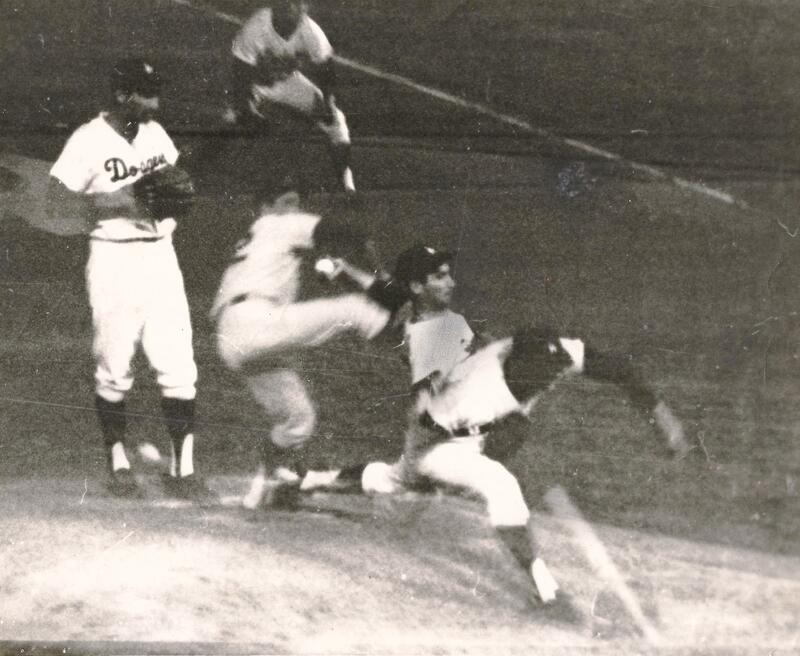 I think that was the last time we saw Koufax on the mound….Have look at my next blog….coming up later. You have several presentation options through Fineartamerica whereas on eBay the presentation is an 8.5×11 print. Thanks again and enjoy your print!